Who are the great thinkers of history? Aristotle. Newton. DaVinci. These names quickly come to mind. There were many, many others as well. Some names we may recognize. Others may have been forgotten by history. Still throughout the ages, men and women have challenged conventional wisdom and have thought deeply about the questions that consumed them. The great thinkers of yesteryear dedicated time to thinking. But what of today? If you’re anything like me, you stay very busy. Work commitments consume a big part of the day. Spending time with your family, maintaining the household, and preparing for an uncertain future all take a lot of time. Not to mention the countless hours many people waste watching television, playing video games, or surfing the internet. We are so busy getting along in our everyday lives these days, that we don’t really have a lot of time to stop and think, really think, about things. But we should make the time. The Next Disaster: Are You Prepared? For example, you probably have heard about the recent power outage in India. 680 million people were left without power when the grid went down. 680 million. That’s approximately twice the number of men, women, and children in America, all without electricity. What happened? I don’t know. I heard about it for a couple of days on the news and forgot about it. It’s on the other side of the globe from me and it doesn’t really affect my day-to-day life. I’ve got more pressing things to think about. On to the next news story. But wait, that news story should give me pause for concern. A national power grid went down. Was it a hacker practicing their trade on an unsuspecting country? Did demand simply exceed supply? Did the government give a good and accurate assessment of the situation? Or was it covering something up? I don’t have to know the answer to these questions. These are not the ones that bother me. What I should think about it is: am I prepared if my power grid goes down for a protracted period of time? Can I cook without electricity? Can I get fresh, potable drinking water? Remember that it’s a national outage so the water company has no power to pump water to your taps. Will my house be livable without electricity? Can it be sufficiently heated in the winter or will it be too hot in the summer? Can I protect my family and what I have from those who are unprepared and opportunistic? Since police protection depends on electricity, the rule of law will likely fail within a few days. People will get desperate or will seize this as an opportunity to smash and grab. Am I physically fit enough to do what I need to do to make it during that kind of trial? 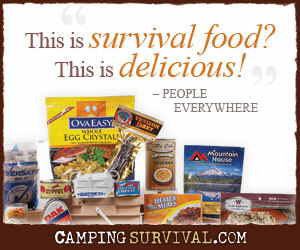 Do I have the supplies and gear that I’ll need to survive? There will be no running down to the store to pick up groceries, etc. Do I have the skills that will be required to survive? The internet won’t be available so I cannot look up how to do something. When you hear news of an event such as the power outage in India, take some time to think about it. Turn off the radio on your drive to work and think. Take a break from the video games for 1/2 an hour and consider your plight should a similar thing happen in your neck of the woods. Better, schedule a dry run. Spend a weekend without power and water. Can you do it? This is something that Laura and I have been considering for years but haven’t found a good time for it. We really should. Interesting thoughts. I do agree that nowadays we have less time or do not take time to stop and think. Socrates once said ” The unexamined life is not worth living”. That being said, I would also consider the location one would find him/herself stuck without power; many indian citizens found themselves stuck in the subway, on a train, or in traffic for hours. It would entail practicing and maybe leaving your car parked somewhere and trying to get home or to your family on foot. That is why a b.o.b. stowed away in the trunk of your car or something as simple as always carrying a bottle of water along with critical gear (multitool, first aid, energy bar, money, etc.) should be second nature and a way of life. Some say “be afraid, be very afraid” but I say “be prepared, be very prepared”. Excellent, Alain. You’re right. We often think about surviving at home but chances are we’ll have to make it home somehow. Laura and I each carry a pretty extensive Get-Home bag in our vehicles. I’ll have to write about it sometime.